Congratulations on your decision to purchase a new home! This is an important time to have a qualified and professional real estate agent from the Boyenga Team work with you before you begin house hunting. This way they can help you define what kind of home and neighborhood would best suit your desires and needs. The finer the details on your wish list, the more effective your home search will be. To further define your needs, you may want to divide your lists into negotiable and non-negotiable items, so your agent can operate with some flexibility when scouting for homes on your behalf. Now that you know what you want in a home and neighborhood, you need to find out what you can afford. The best way to do this is to get prequalification or preapproval for a home loan. Your real estate agent can refer you to a mortgage broker to begin the process. In most markets, preapproved buyers are preferred by sellers over those who are prequalified. Your preapproved status lets the seller know; you have gone through an extensive financial background check and a lender is willing to do business with you. Once you have found the home you wish to purchase, you will need to determine what offer you are willing to make for the home. Your realtor from the Boyenga Team will sit down with you and discuss what the process is when making an offer. 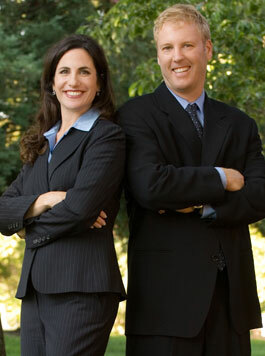 They will help you determine what a fair and reasonable offer is for your home. They will then communicate your interest in purchasing the home to the listing agent with a written offer. After your offer is given to the listing agent it will either be accepted, rejected, or the seller will make a counter offer. This is when the expert negotiating skill of the Boyenga Team is invaluable to you. Usually the step-by-step contract procedure for most single-family home purchases is standard. The purchase and sales agreement used is a standard document approved by the local Board of Realtors. The purchase and sales agreement constitutes your offer to buy and, once accepted by the seller, becomes a valid, legal contract. For this reason, it is important to understand what is written on the contract offer. Your agent will go through the entire agreement, step by step with you. You will be able to ask questions and will know exactly what to expect. When an offer becomes a binding agreement, your agent will help you tackle the checklist of action items that you, as the buyer, have agreed to perform prior to closing. Depending on how the responsibilities are divvied up in the agreement. Some of the things to be done could be, conducting a home inspection, getting an appraisal and finalize your financing. You will need to secure title insurance and shop for a home warranty. Having these procedures done in a timely and professional manner is a must, as any delays could threaten a successful closing. That is where one of our first-rate real estate agents will be able to serve as your "one-stop shopping" referral source for service providers. They will also serve as your advocate, helping to coordinate activities and making sure the vendors have access to the property to perform their jobs. Congratulations! The moment you’ve been anticipating has arrived. The closing is where home ownership is legally transferred from the seller to the buyer. It is a formal meeting that most parties involved in the transaction will attend. Closing procedures usually are held at the title company’s or lawyer’s office. The closing officer will coordinate all of the document signing and the collection and disbursement of funds. Congratulations on the purchase of your new home! Now that you have taken ownership of the property you will need to have your local services such as electricity, cable, and phone set up. Your agent can help you coordinate the set-up of the local services. Since we already know who the local vendors are for such services as water and electricity, as well as others, so we can provide you with a list of contacts.